Ours is one of the prominent organizations engaged in serving our clients with an exclusive collection of Wedding Baggis. Under this, we serve our clients with Orchid Flower Decorated Baggi, Wedding Chariots, Wedding Ghoris, Marriage Baggi, Wedding Baggi and Ghori and special baggis. 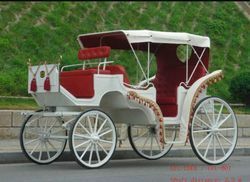 The grand chariot is offered for wide-ranging functions such as Wedding Celebration and various similar occasions. We are offering a wide range of Baggi Wedding. Dhanaa Band presents our clients with fashionable Baggi & Ghori Services which is one of the most essential parts of Indian Weddings. Baggies or Raths pulled by brilliantly ornamented horses is another attraction of marriage ceremonies. These are used to ride the newly weds. The Baggies are immensely decorated for special occasion. Ghori plays an important role in wedding as Groom rides on it. Great India Band arranges decorated wedding white Ghori at affordable price. 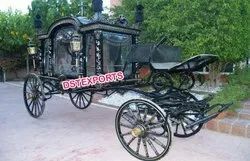 We arrange for wedding ghori for the groom. It is properly decorated by our team as per the client's requirements. The ghoris we offer are of pure white color and possess good height & high patience level.